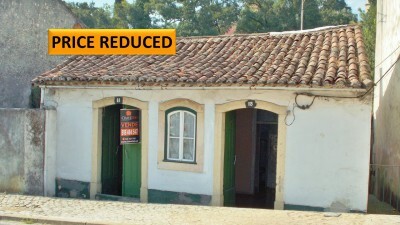 This little cottage is perfect for anyone looking for an investment opportunity or a holiday home in the sun. The property does need work but the investment is worth it given that it’s right on the doorstep of Tomar. The property needs some work but wouldn’t take much to bring up to spec. What sells this property is definitely the location, just a two minute walk and you are in the middle of the town square. The property is set over two floors meaning that if necessary, it could be split up into two separate living accommodations. The bottom floor has access to a small garden with great views over the countryside. The upper floor also has great views, even better than the ground floor obviously. On this floor there is a kitchen, bathroom, living room and three bedrooms. The house doesn’t look too big from the front, but it’s a Tardis once inside! The property is only a 2 minute walk into town, as mentioned before. Tomar, which is home to the UNESCO listed Convento do Cristo, is a bustling market town with a variety of supermarkets, shops, cafes, restaurants, bars, banks, health centres, hospitals, schools, bus and train station and university. The property is also only a short drive from Castelo do Bode Lake, which is popular for all kinds of water sport activities.